Bring the best out in you! AKS ALLURE is a luxury lash/brow bar and day spa specializing in facial threading, facial and body waxing, tinting, lash perm/lift, eyelash extensions, facials, makeup, blow outs, massages, skin care and henna. Established by award-winning stylist and beauty expert, Mariam Shamshed, AKS ALLURE offers affordable, high-end beauty maintenance services that help busy, active women look and feel their best. Focusing on beauty from within, all AKS ALLURE services aim to help women feel and look healthier, save time on daily beauty routines, and highlight each woman’s natural beauty. We use pure, safe, natural ingredients as well as innovative and meticulous procedures to give you a customized look that fits your personality and lifestyle. 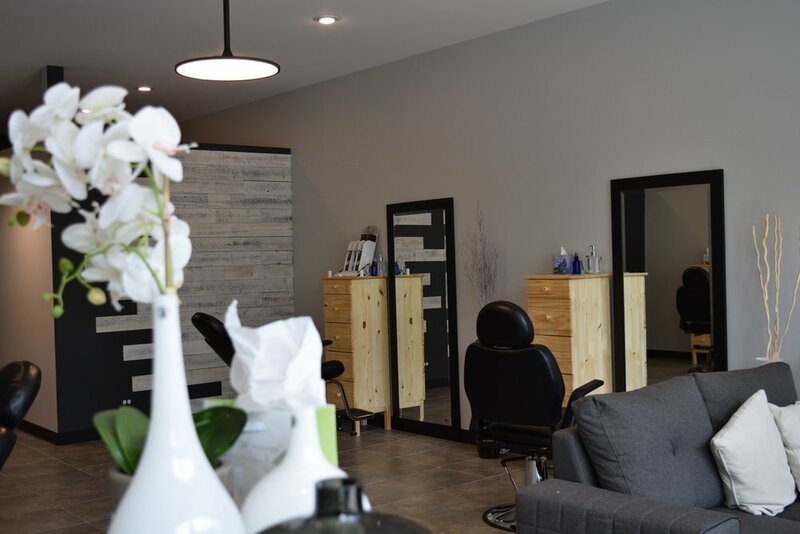 AKS ALLURE is a luxury salon & day spa located in the heart of downtown Lake Bluff, IL. AKS ALLURE offers affordable, high-end beauty services that help busy, active women look and feel their best. Focusing on beauty from within, all of AKS ALLURE services aim to help women feel and look healthier, save time on daily beauty routines, and highlight each woman’s natural beauty. We use pure, safe, natural ingredients as well as innovative and meticulous procedures to give you a customized look that fits your personality and lifestyle while always keeping up with the best and most current beauty trends & procedures. Our artists create beautiful, semi-permanent brow tattoos, using the delicate process of hand drawing small tattoo strokes to mimic natural hairs. The results leave you with defined or natural brows to enhance your unique face shape. Also known as brow feathering or microblading, we achieve your desired look by implanting color micro-pigment beneath the surface of the skin by means of a tiny, sterile, disposable needle. We use top of the line adhesives and eyelash extensions, ensuring the safety, health, and comfort of our clients. Our adhesives are free of any harmful chemicals (including formaldehyde and latex), ensuring the long-term health of your natural lashes. We use synthetic mink eyelashes made of yarn fiber, making them soft, comfortable, and safe. HydraFacial is an invigorating treatment that can be given in as little as 45 minutes. It’s the unique serum delivery system that puts the HydraFacial into a category of its own. It delivers long-term skin health and can be tailored to meet the specific needs of all skin types. It offers instant, noticeable results with no downtime or irritation. The HydraFacial treatment removes dead skin cells and extracts impurities while simultaneously bathing the new skin with cleansing, hydrating and moisturizing serums. The treatment is soothing, refreshing, non-irritating and immediately effective. We do hygienic, fast, and safe waxing. We make sure our waxing process — like any other service we offer —is free of contamination. Our highly skilled estheticians will make you feel comfortable during any type of waxing procedure. Originating in the Indian subcontinent, this ancient method of hair removal is gaining popularity for shaping eyebrows due to the sensitivity many people have to wax near the eye area. Our process is less painful, extremely hygienic, and safe for the skin. No matter how good you are at shaping your own brows, you’ll see an enormous difference when you have them professionally manicured. Our facials show immediate yet lasting results. They are performed using professional grade, highly concentrated products mainly formulated with the natural ingredients such as fruits, vegetables, and spices. All products used in facials are free of parabens and other harmful substances for the skin. When tinting brows and lashes, we use a product that is specially formulated to be safe for skin and eyes. It is very important to know that tints used for eyebrows and eyelashes are formulated differently that hair dyes. It is dangerous to use hair dyes to tint brows and lashes due to their concentration of ammonia.